Writing Belle: I went to a CONCERT (Yes, Me!)! I went to a CONCERT (Yes, Me!)! While you may find it hard to believe, this is actually the view that I get to look at on the end of my street. No, I don't live anywhere near the ocean, but with a snapshot like this, I might be able to convince someone that I own a swanky mansion in Santa Monica. So what's my point? 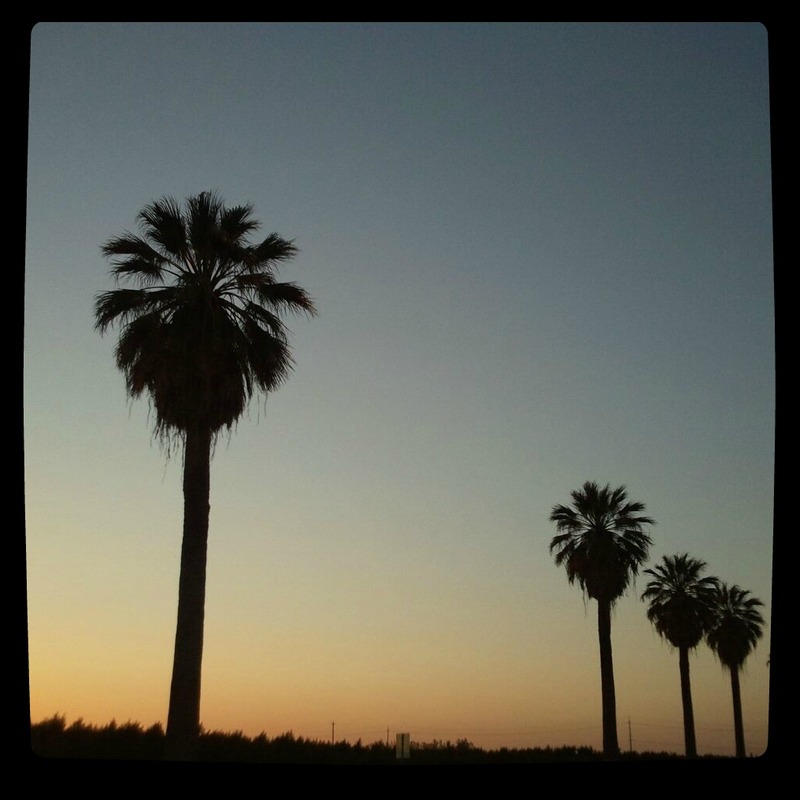 Even in a little tiny town in the middle of the Central Valley of California, I have beautiful things to look at - like the mountains, the fruit trees, or the palms that line the incoming boulevard to the city. Remember this guy? He was a finalist on Season 8 of American Idol. He's a musical prodigy, a classically trained pianist and he is completely blind. When he was 19 he suffered from kidney failure and faced the very real prospect of dying. Obviously he made it through and today he travels around the country, doing inspirational speaking and giving amazing concerts. He gave a free concert at my church on Saturday, and guess what? No auto-tune. No band. Just him and the piano...and let me tell you: the guy can play. I have rarely had the pleasure of listening to a musician so incredibly talented - not to mention passionate. What could be better than that? Oh, right. He is also a strong Christian and his testimony was an incredible one. I actually read his autobiography a few months ago before he gave a concert, and it was a really touching story. I would definitely recommend it: By Faith, Not by Sight. Find it here! I just had to talk about it on my blog because it was a fun, moving experience. And I wasn't the only one impressed. A nearby school for the blind brought many of its pupils to the concert on Sunday, and most of them were either in tears or beaming with happiness the whole time. Scott MacIntyre's story was very inspirational for them.